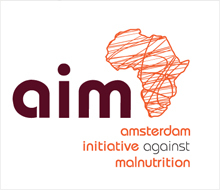 Yesterday I was in The Hague for a meeting of AIM, the Amsterdam Initiative Against Malnutrition in conjunction with the GAIN Partnership Council (which I am a member of). AIM is a Dutch-based multistakeholder network of organisations from government, civil society, business and research that serves as an innovation platform for different pathways to reducing malnutrition. The panels and presentations were interesting but, as usual, I was left wondering what will success look like? What will be AIM’s impact? It has been going for 3 years, so it is too early to find real change yet, but the question remains--what will change look like and who will benefit? As an intro, Jay Naidoo gave a rip-roaring speech about how malnutrition is a political statement (couldn’t agree more) and how it would require a whole of society approach to struggle for change. Prof. Anna Lartey, incoming President of IUNS (ad co-convenor of the IDS Nutrition Summer School), asked David whether he thought the nutrition community was ready to engage in such partnerships with the business sector. David said, “no”. The trust was not there from the nutritionists. The documentation of impact by independent credible third parties was essential if trust is to be built, he said. This is also my conclusion. Without credible impact assessment, ideology wars just play out in the same old boring way. We need to occupy the space between “puff” and “plunder” when it comes to the role of business in nutrition. In the absence of credible independent evidence on impacts, for those not ideologically opposed, “Puff” (or public relations) is what business initiatives often seem to be. For those who are ideologically opposed, the absence of independent evidence allows the “Plunder” narrative to go unopposed. We must begin to occupy the space between puff and plunder. AIM has the potential to do this because it has a monitoring and evaluation budget (process and impact). There was a lot of talk about the risks involved in engaging in these multistakeholder partnerships involving the private sector—financial, reputation, and livelihood risks and strategies for sharing, pooling, and managing those risks. But I suspect the lack of credible independent effort to assess impact is the biggest risk of all. I hope AIM will begin to change all that. Lawrence, sorry for my prolonged absence. I wish to join the discussions. These multi-stakeholder platforms are a good thing although it seems to me one of their strengths would be the use the 'personalities and spheres of influence' to push for visibility, pride of place and actions on nutrition at all levels. The mistrust between nutritionists and "industry" is an age-old one which does not seem to die away despite an apparent 'softening' on the part of some nutritionists in recent times. It seems to me businesses are looking for opportunities to capitalise on profit-making, rather than investment in human capital as a primary objective. Furthermore some areas of the food and drinks industries have historically used a "nutrition platform" to promote their products, sometimes as "superior" to natural products including mother's milk and FOOD (particularly local foods. The idea of promoting "supplements for example as a solution to nutritional deficiency also raises 'red flags'; with nutritionists (and child health experts). The scientific evidence shows that supplements work best when used for repletion e.g. in micronutrient deficiencies (hidden hunger) or as part of treatment where there is clinical malnutrition. 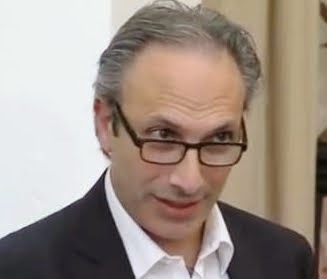 On my part, I want to believe it is possible for business and industry to work successfully with the "nutrition fraternity" by which I mean all the stakeholders and main players in nutrition (from economists, health workers to agriculturists and social scientists and development workers). What is needed is for all parties to recognise a singular objective i.e. to fight together and reduce the burden of under and mal-nutrition, and to draw our collective strengths for this fight. I also am of the view that it is PEOPLE ON THE GROUND WHO WILL SUSTAIN AND ULTIMATELY WIN THE FIGHT AGAINST MALNUTRITION and it seems to me they are left in a lot of these discussions and strategies! Clearly business can support in many ways including capital injection to support innovative and medium to long term strategies which improve food security and enable front line health and nutrition workers to provide 'point of care' support to the weak and vulnerable. Apart from the 'clinical interface', the emphasis on agricultural, economic and preventive/promotive aspects of the "business" is equally important and rather than 'fear that they would 'lose business' industry should see their inputs as an investment for which they will reap benefits with a fitter, better, more educated and healthy workforce, not to talk of partnerships (MDG 8) which will continue to provide business opportunities for companies. At the heart of all this is the key word ETHICS, but I'll leave that for another day.